the green May roses on the table, lasting forever. It is a dream of days long gone, with a smile on my lips. 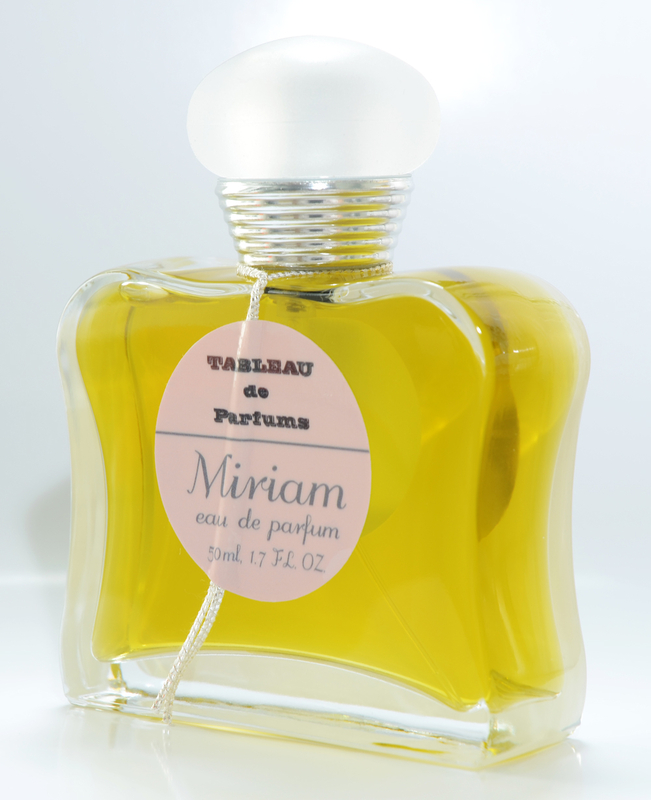 Miriam Eau de Parfum is the first fragrance on the Tableau de Parfums line (you have a chance of getting to know it before anyone else, read on! ), referencing the heady, diffusive fragrances of the 1940s and 1950s. Some people who admired Tauer perfumes had asked on these very pages some time ago that he composes an aldehydic floral. Apparently he listens! Miriam is an old-school rosy-green aldehydic floral, like they don't make them any more; perfumey, rosy, with piquant notes that register between soapiness and fizziness, an armour of glamorous "clean". You imagine a highly strung classy woman that hides her woes behind an immaculate veneer; perfectly coifed & manicured, wearing delightfully constructed, tailored clothes and maybe a string of pearls. Male filmmakers of the 1940s tended to show this powerwoman stereotype having a meltdown at some point in the plot, perhaps a subtle nod to "punishment" for undertaking more than they should. Pamela Robertson explains that Mildred Pierce exposes this contradiction of female success and societal expectations, "because Mildred's success conflicts with the postwar ideology that demands that women give up their careers" . There are even modern specimens like Amy Archer in "The Hudsucker Proxy". But not in Pera's universe. Miriam can be complex, alternating between regret, love, compassion, duty, longing...she's very human. In the words of Ann Magnuson, who plays Miriam in the film: "The character of Miriam is kind of riffing not only on the forties women’s picture characters but also some of the characters that I’ve played." Who is Miriam? The host of a long running home shopping network program (“The Miriam Masterson Show”), Miriam (played by well-known actress Ann Magnuson) is the on air confidante to millions of women across the country, But behind the scenes, Miriam is at odds with the men who run the studio, a motley crew of suits who don’t understand her touchy feely appeal. At home, she struggles with a layabout boyfriend. Her mother has just been put in a nursing home suffering from dementia. What Miriam would like more than anything is the one thing she can’t have: the name of her mother’s signature perfume. What’s left of the fragrance sits in an unlabeled Baccarat decant on the edge of Miriam’s vanity. When it’s gone, it will take a world of memories with it. Does it remind you of something? I thought so. That perfume therefore represents the memory of her mother, the fragrance her mother actually wore, but also the images and thoughts that Miriam projects into her perception of her mother as a younger woman. Makes for contemplating sniffing. Miriam the fragrance is vintage in spirit but with a contemporary character. “There is something slightly provocative in this perfume,” says Andy Tauer, its creator. “It isn’t naughty, but bold. It makes a statement, and its wearer needs a little bit of daring. A grand perfume constructed in the tradition of French perfumery, Miriam is the kind of fragrance they don’t make much anymore.” Indeed! When was the last time you actually heard of a major company launching an aldehydic floral? This is one of the beauties of discovering artisanal perfumers: They eschew trends into producing what they like. The scent of Miriam Eau de Parfum is immediately expansive, filling the room with its citrusy aldehydes burst and violet leaf natural essence (coming from Biolandes), making an instant euphoric impression. Unmistakeably this is an old school rosy floral, fanning the tea rose variety into a soft woody base rich in irones. The woodiness is half and half Australian and Mysore sandalwood, giving a smooth underlay. I hear there's also ambergris/Ambrox, one of the notes that Tauer likes and uses as insignia. It's subtle here and very low-hum (resulting in less than plutonium-like lasting power in this case), while there is a hint of animalic warmth deep down (civet? ), taking a sensuous path for a brief while. But never fear; like the corresponding character Miriam EDP knows how to behave, even if her heart takes her elsewhere from time to time. bergamot, sweet orange, geranium, violet blossom, rose, jasmine, ylang, violet leaf, lavender, vanilla, orris root, sandalwood. We are hosting a giveaway! One purse sized atomiser (7ml) to a lucky winner and 5 deluxe samples (1 ml each), with a DVD included, shipped directly by Tauer Perfumes into the entire world. Draw is open till September 7th and winner announced at the end of next week. Just leave a comment re: this post. Miriam EDP will launch in early October in Los Angels at Scentbar and Luckyscent. Tauer will not make it available on the Tauer website, but rather on Evelyn Avenue. Robertson, Pamela. Guilty Pleasures. Durham & London: Duke University Press. 1996. Miriam sounds like an intriguing characher and a perfume! And I really like the reference movie. A classy rose by Tauer! It must be wonderful. Curious about Andy's interpretation of a 'grand perfume constructed in the tradition of French perfumery'. Please enter me in the draw. I love the idea of having 'characters' inspire perfumes (reminds me of the Tori Amos album where she takes on certain characters to perform different songs!). Also a big fan of an old-fashioned floral so would love to be entered in the draw. Thank you. Oh, it sounds wonderful! Please enter me in the draw. I have been dreaming about this perfume -it makes me think of all those wonderful films noir from the 40s such as 'The Killers' and 'Laura.' Please enter me into the draw. Holy crap, I read about that on Andy's blog the other day and I thought that this could be interesting to check out. I had awarded myself a bottle of Vetiver Dance though so I didn't jump after it immediately and I think it's not sold regularly anyway so, obviously, enter me in the draw. another very interesting rose from Andy...and such a glorious project-super.. I'ld wanna win this fantastic sample!! I love vintage green fragrances more and more. Would like to test this one, thanks! Alica - alica@cleis.net. After reading this review, I'm qutie excited for the Evelyn Avenue project! Please enter me in the draw--I'm dying to give this a try! My sister is called Myriam, but she's not a 'fumehead. I will let her smell it and see if she likes it. Unless I like it a lot, in that case I won't share. Andy Tauer is my favorite perfumer and of course I can't wait to try Miriam! Thanks for entering me in the draw and thanks for your lovely review! What a cool project, two of my hobbies: movies and perfume! together! This is something that I have to check, thanks for this amazing draw. I am so glad that Andy Tauer has done an aldehydic floral. I adore his perfumes and am excited to try this one! Thanks for doing this!! I've been thrilled to see the advance clips of Brian's work, and I'm especially thrilled that Andy's created an aldehydic floral (one of my very favorite types of scent)! I would absolutely love to win a sample, but if I don't, I'm going straight over to Luckyscent to buy one as soon as humanly possible. I only have one of Andy's fragrances....Money's tight. I've been wanting to try this one ever since Andy first described it. It sounds fantastic. Strange the connections life makes: one of my all-time favorite perfumers is involved in a collaborative project with a woman from one of my all-time favorite bands ( Ann Magnuson of Bongwater )! DEFINITELY add me to this draw: Miriam interests me on many levels! Please enter me in the draw. I'm always interested in anything Andy works on. Now *that's* something I'd love to smell - please include me in the draw for Miriam. I have read so much about this film, both on Brian's blog and the other perfume blogs. Would love to see it, and now I am enchanted by the description of this scent inspired by the film! (and I'm a big Tauer fan) Please enter me in the draw! I am dying to try this! Love your review and like to try the new scent. Please enter me in the draw. This sounds wonderful! Please enter me in the drawing. Thanks! Please enter me in the draw! I love Andy Tauer's perfumes, especially Une rose chypre and Zeta, and I'd love to try this one as well! Would love to win a sniff! Please enter me in the draw. I'm a huge fan of Tauer's fragrances. Please enter me in the draw. Please enter me in the draw too. Thanks. I am a "Andy" fan and blogfollower and really excited about this new adventure. Cannot wait to smell Miriam!! So count me in for this draw, please! I was one of the people who asked for an aldehydic floral so I really hope I win! This sounds such an interesteing project and I am a fan of a number of Tauer perfumes so please enter me in the draw. Love the whole idea of this. Thanks for the draw! I am looking forward to trying Miriam! Your description of Miriam as "an old-school rosy-green aldehydic floral" makes it sound perfect to me, and I think this joint project between Andy Tauer and Brian Pera is very intriguing. Please enter me into the draw. Thanks. thank you for this amazing draw! 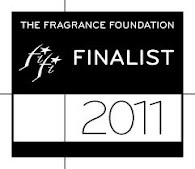 i loved andy tauer's perfumes from first sniff!the're daring, they leave an impression! you can't remain indifferent!they're alive, they vibrate and breathe with your skin!and they have the lifespan of plutonium so more value for your bucks, ha ha!miriam sounds like a wonderful perfume and i'd love to have the chance of wearing it! I am so excited to smell this! I love old school fragrances, and definitely interested in Andy's take. Please add me to the draw. I so love vintage [style] scents! This sounds so lovely and I can't wait to spritz all over! Andy I such a gem :-) thanks for the entry! Please enter me in this drawing!! I love the old fashioned aldehydes - to me they smell icy. Would love to try Tauer's take on this! Being in the mood both for a bold vintage-y perfume as well as anything Andy creates, I'd love to be entered in this wonderful draw! Your article makes me want to see the picture even more. Please enter me in the draw. What a creative idea & concept! I always love aldehydic perfumes & most of my collection consist of them. Really really excited to try this out! Please enter me in the draw. This modern vintage scent is made for my "want" list. And that's "Want" with a capital W. Thanks for entering me in the draw! Project combined my 2 fav things: perfumes and movies. How I would love this to be my one and only Tauer perfume. Gotta love the lightbulb bottle, 2 cute! Please enter me in the draw. Miriam sounds just wonderful - I have a taste for the vintage, and the blend of fresh, floral, and provacative says "don't miss" to me. Bravo, Andy - this is what artisanal perfumers do best. 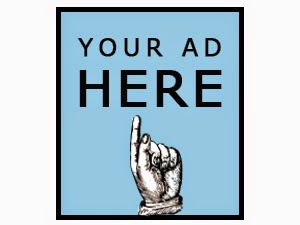 They make what may need to experience, not just the fad du jour. Please enter me into the draw. Whether I win or not, this is a creation I have to try. 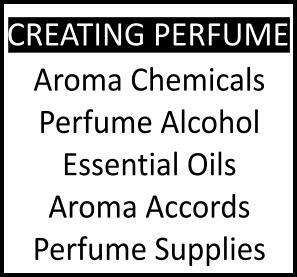 I would love to try Tableau de Parfums Miriam. Thank you for hosting this giveaway! Loved reading your blog and this post was no exception! I too love aldehydic florals, especially old-school. Always liked those classy dames from the '40s and '50s with names like Nora and Miriam and Miriam-no Megans or Ashleys back then! please enter me too. Not a big fan of aldehydic frags but like Andy Tauer's things. Can't wait an acquaintance, anyway. Wow! It's finally coming! Please enter me in the drawing--I love that you do these things. I'd love to try this! Sounds fantastic and I'm ready for a new favorite. Please enter me in the drawing. It sounds great that this is a modern interpretation of an older style aldehydic floral. I have not yet smelled any Tauer perfumes yet. I would love to enter your draw! Very intriguing! Would love a sniff! Love Andy's work, very curious about this fragrance, please enter me in the draw. I'm really courious about it. I like tea roses. My mother has some fragrant beauties and I cannot go by without smell them. I would love to try this! Please enter me in the draw. Sounds fantastic. Please enter me in the draw. Everything Tauer is test-worthy! Looking forward to trying Miriam as devoted fan of Incense Rose. Thank you for the draw! I'm up for the giveaway! I love Tauer and would adore to try this one! I'd sure love to try this one. Always up for a new Tauer! hello! have u closed the post yet?i heard bout this on Andy's page sometime and had no time to check... i have not experienced his new perfumes at all lately. curiuos how it is like? Sounds interesting, I'd like to try this, please enter me in the draw. This sounds lovely and interesting. Thanks for the draw! Thanks Andy for having released an old school scent. I would love to try this: please enter me in the draw! Oh yes! I am a huge fan of aldehydic florals. Aldehydes with rose can just me mixed straight, like Rosine's Rose d'Amour, and I'll enjoy it. But I will certainly enjoy a more sophisticated composition. Many thanks to you for this informative post and to Mr. Tauer for listening. And thanks to you both for hosting a giveaway! I love anything with violet leaves in it! Thanks for the chance to win! I would love to try Miriam, and to see the movie...old school aldehydes bring back memories of favorite aunts dressed in beautiful sheath dresses with gorgeous pins, hats & gloves. thanks for entering me in the draw. I must try! I've been following this project eagerly and can't wait to sample this perfume. I love ALL the roses from Andy Tauer, and i'm sure that this will not be an exception, Tauer knows what I love. Geranium+rose->tea rose. Quite nostalgic - geraniums used to blossom in our garden, a few years ago and the neighbours' gardens, too. Now, it's regarded as a humble plant, and unfortunately it' s been replaced by other fancy plants. The notes are all very "loud". I guess they have been harnessed by Andy Tauer in a harmony better than vintage. I think it' s going to be more than a homage to past styles; I can discern the perfumer's vision to transcend the mix to an intemporal joy of odors. I was in awe of this post. Miriam (both the character and the scent) sounds exactly like me. After reading this fascinating story, I would love to try this perfume. Sounds subtle and inviting. I've been waiting for the release of Miriam so long! I am sure that it will be phenomenal like all other Tauer perfumes. To evoke a memory; there's an essence of Miriam in us all. It's a very interesting project, will be following it from blog to blog. Sounds breathtaking. Please enter me. I've been looking for a new signature scent. This sounds divine! Sounds wonderful. Please enter me into the draw. Love Ann Magnuson, Love Tea Roses, Love Perfume. This sounds right up my alley! Hope to win. I love Andy Tauer perfumes. And I love the whole scenario of having a character behind a perfume. And I especially LOVE the perfume bottle left behind by her mother...so poignant. Count me in. I love the idea of a perfume created from a character. And, I LOVE Ann Magnuson! Love the creativity of this. Please enter me in the draw. Sounds great, would love to try it. Love Andy's work...count me in for this drawing!! can't wait to sample this new venture. Wow, sounds very intriguing, and I love love love Ann Magnuson. amyr. I love the tauer fragrances & would love yo smell his new Miriam ! This sounds very interesting! Please enter me in the draw. Miriam's ingredients sound lovely. I have several of Andy's perfumes and each and every one is unique and wonderful to wear. OH.WOW!!! WOULD LOVE TO WIN THIS ONE!!! CAN'T WAIT TO TRY IT WHEN AVAILABLE!! This has been on my radar since I discovered L'Air du desert Moroccan. Intrigued to see the film "Woman's Picture" as well - so interesting to have a scent expressing a character's personality - would love the chance to try "Miriam". Have been looking forward to this since acquiring L’Air du Désert Marocain. Intrigued by the concept of having the personality of a character in a film expressed in a scent - would love to try Mariam. And see the "Woman's Picture" film!